In this book, I used opposite categories not as parallel dichotomies or binaries that never touch each other, but rather as two extremes of a spectrum. 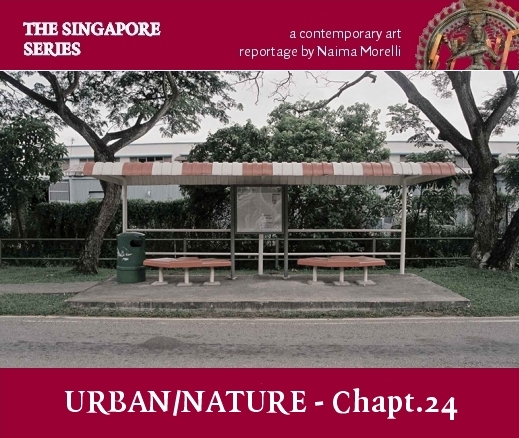 This also goes for one of the core themes that many Singaporean artists measure themselves with: that of the urban space and the natural space. Again, we will examine the matter from different angles. At the level of the artwork, city and nature are themes many artists muse on. Then we will look at the space itself and the way the physical structure and size of artist studios, art spaces, galleries, houses and where they are located in the city have an effect on the art production. On top of that, we will look at the idea of nature as a way to go – quite literally – back to the roots. 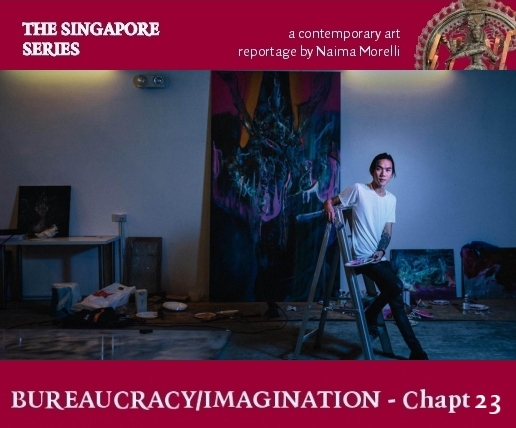 Indeed, the attitudes of Singaporeans towards nature and art are very similar, so it is almost inevitable to draw parallels. As something that is supposed to grow organically and spontaneously, art has always been seen as something “natural” to humans. This goes for the whole art ecosystem. Precisely an ecosystem, as we can’t help using a nature-related terminology here. It has been more than 10 years now I have started to see my articles published on magazines, and I’m still full of joy and wonder every time one is out. Especially if they are particularly satisfying conversations, like this one with none other than the great Thai artist Manit Sriwanichpoom. The piece has just been published on CoBo Social it is also linked with the webmagazine’s current focus on Art and Politics. This article is part of my reportage on the Thai contemporary art scene I completed a month ago. 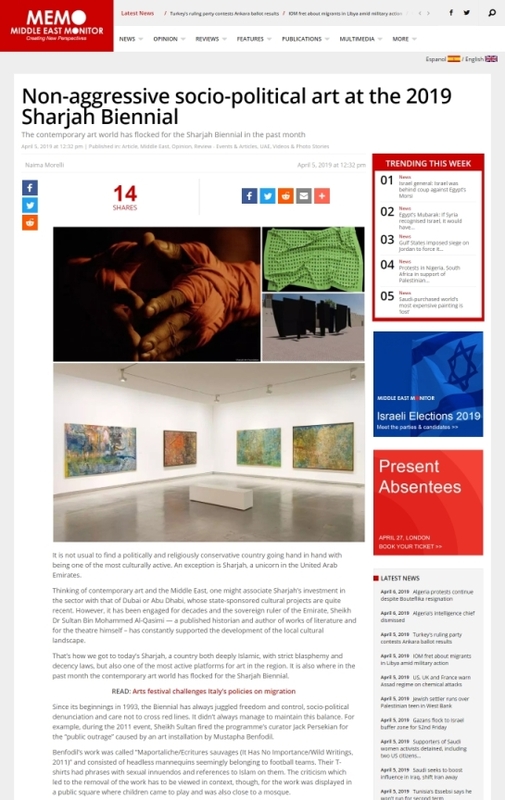 The webmagazine Middle East Monitor has just published my article on the Sharjah Biennale. Lend your pen to what’s important, my friend. Life is beautiful when you use what has been given to you – in my case this passion for writing – to share with others what inspires you and makes you – and others – feel that tingling of excitement. 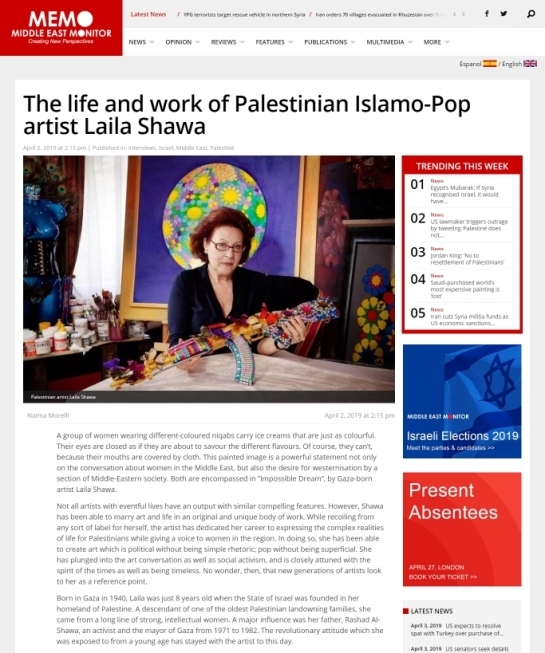 So a lot has been written already about Islamo-Pop Palestinian artist Laila Shawa. However I wanted to measure myself with the work of this artist too, and learn about about her incredible life. And I did it for Middle East Monitor, some of the kindest people devoting themselves to the socio-political realm. When it comes to the power of imagination, Shubigi Rao is an artist that masters it. Shubigi has the capacity of completely drawing you into her world and work, which is complex, multidisciplinary and deeply entrenching. However, she also touched upon the other polarity of this chapter: the bureaucratic aspect of life. Indeed, in her critically-acclaimed 2016 book called “Pulp: A Short Biography Of The Banished Book, Vol I” , she addressed censorship, book destruction and other forms of repression, as well as looking at books as a symbols of resistance. The project is being developed over 10 years, in which time the artist is investigating the destruction of books and libraries around the world, collecting video testimonials from people involved in saving or destroying books, such as firefighters who tried to save the burning national library of Sarajevo during the civil unrest in the 1990s, or others who smuggled books and paintings to safety during times of cultural unrest.